On Wednesday night Joe DeGuardia's Star Boxing presented it's second installment of VIP Boxing before a packed house at the beautiful Russo's On The Bay in Howard Beach, NY. The show featured six fights, an hour long cocktail party, followed by a five course meal of indescribable elegance. Headlining the card was Star Boxing's heavyweight and the 2004 U.S. Olympic Team Captain "Devastain" Devin Vargas taking on Terrell "Baby Bull" Nelson. Vargas came out in the first, scoring good combinations to both the body and head of the hard charging Nelson. The middle rounds saw Vargas counter effectively from the outside. 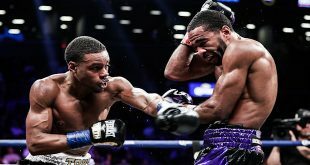 Vargas continuously landed a beautiful left hook to the body followed by a left hook to the head combination that began causing swelling under Nelson's right eye. To Nelson's credit he kept coming, looking to exchange, but in the end, Vargas was too fast and too accurate, winning a clear cut unanimous decision. 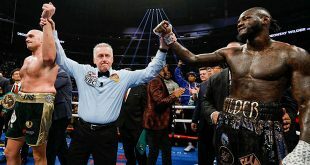 After the fight it was revealed that Vargas severely injured his right hand in the first round, causing him to abandon the right and work solely off his left. With the win, Vargas improves to 18-1, 7KO while Nelson drops to 8-9, 5KO. 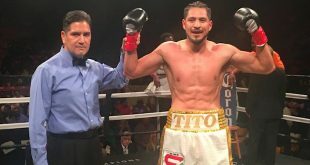 The co-feature bout of the evening saw the return of Star Boxing's super bantamweight prospect Roberto Benitez, as he improved his record to a perfect 6-0, 3KO as he completely outworked Angel Paneto (4-6-2, 2KO) over six entertaining rounds. Benitez, a 2000 U.S. Olympic team alternate, and 2004 Olympic teammate to Vargas, was coming off a three year layoff, but by his performance though it was hard to tell. Benitez landed flush combinations, mixing it up to both the body and head, dropping his opponent various times throughout the fight. Somehow though Paneto was able to make it to the sixth and final bell. In the end it was all Benitez as he didn't lose a round on any of the three judges scorecards. Look for Benitez to be back in action very soon.